Bristol lock Ian Evans has not given up hope of playing for Wales again despite admitting to being "frustrated" after being left out of his country's Six Nations squad. Evans, 30, played for the British Lions and Irish Lions on their victorious tour of Australia in 2013. Since joining Bristol, who play in the second-tier of English rugby, the former Osprey has not played for Wales. "It's been a struggle but I haven't given up hope," said Evans. "It's a bit frustrating not to be involved. I feel I can give a lot to Wales, but I suppose I have to be a little bit patient and ride it out I suppose. "I think I'll just keep my head down, keep knuckling away and if something comes my way, hopefully I can take my chance like I have done before and hopefully get that jersey back." Evans was forced to miss the 2014 Six Nations Championship after being handed a 12-week ban for stamping in the Heineken Cup game between Ospreys and Leinster. He last played for Wales in the first Test last summer against South Africa, but was dropped for the second game. 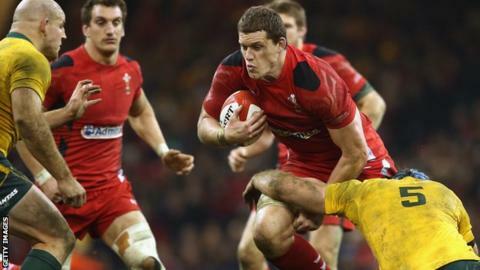 Warren Gatland has picked Alun Wyn Jones (Ospreys), Jake Ball (Scarlets), Bradley Davies (Wasps) and Luke Charteris (Racing Metro) as his second row options for the 2015 Six Nations. All four play top tier club rugby, but Evans told Radio Wales Sport that just because he does not, should not count against him. "I don't feel that just because I play Championship rugby that I'm a bad player," said Evans. "I enjoy playing Test rugby and still feel I can play Test rugby. "Rugby's a very funny game and a lot can change within six months with injuries or players out of form. "Hopefully I can just keep plugging away and help Bristol get promoted to the Premiership."